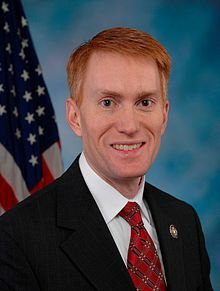 Rep. James Lankford, a Tea Party Republican representing Oklahoma City, probably wasn’t responsible for any of the 118 pedestrian deaths in his district between 2001 to 2010. And it’s unlikely Rep. Steve Southerland of Panama City, Florida was behind the wheel when any of the 164 people were killed while walking in his district during the decade. But they are two of eight freshmen on the transportation conference committee, and their vote over the next few days could mean that those appalling numbers go up — or down. To remind members of what’s at stake with this transportation bill, Transportation for America has released an addendum to its groundbreaking “Dangerous by Design” report, this time quantifying the death toll by Congressional district. Everyone who cares about safe streets can now be very specific when asking their representatives to support a transportation bill with the Cardin-Cochran amendment to keep at least some bike-ped funding control at the local level. “Having saddled communities with unsafe streets, it would be the height of cruelty for Congress now to take away resources and latitude from local communities trying to improve those conditions and save lives,” said James Corless, director of Transportation for America, in a statement. Last January, a retired minister was killed while crossing the street after attending a college basketball game in Bethany, Oklahoma. He was one of Rep. Lankford’s constituents. T4America found that the majority of pedestrian deaths occur on roadways that encourage speeding but do not provide sidewalks, crosswalks, signals and other protections for people who are walking. Their push to remind Congress of the pedestrian death toll due to unsafe road conditions is supported by AARP, the National Association of County and City Health Officials, and the American Public Health Association. AARP notes that Americans 65 and older are 65 percent more likely to be killed while walking than the population as a whole. And Susan Polan of the American Public Health Association noted that the obesity epidemic should force Congress to act. “At the very moment that Congress began debating whether or not to preserve programs like Safe Routes to School and others designed to make walking and biking safer, the CDC reported that almost 32 percent of 2- to 19-year-olds and nearly 69 percent of adults in America are overweight or obese,” said Polan. The news out of the conference committee has been grim. But this week, leaders re-energized their campaign to get the bill done, and the House voted overwhelmingly yesterday to compel the conference to finish work by tomorrow. In all that drive to get a bill done, lawmakers need to know that constituents won’t be satisfied with just any bill. Legislation that fails to protect the most vulnerable road users will end up costing us in the end. This is a very smart campaign, Transportation for America. So often our representatives act like the only thing that’s really going to matter is bringing home the pork money. But Safe Routes to School and Transportation Enhancements really save lives in local communities. There is no such thing as a “federal” dollar. Nearly all of the money the federal government gets comes from state taxpayers. I would rather have our Congress focus on spending less money by allowing these “federal” dollars to remain in the states, where there would be one less layer of administrative cost and bureaucracy to deal with. In the affordable housing racket (CDBG), oops, market, the administrative costs are 40% before the first nail is driven. I expect with the federal government being involved, transportation programs are similarly wasting our money. @google-c49872d68449e685c686837f1fa23edc:disqus Do you think that if Florida kept that money that the officials of Panama City would spent it on pedestrian safety and infrastructure? Having lived there myself…I doubt it. Oh, I see. It’s ok if we can’t afford a car and starve to death, but GOD forbid we don’t build bike trails beside the roads. @Me Me – If you can’t afford a car and are having to walk or ride a bike as transportation for say, getting your groceries, this is a pretty significant issue for you to take interest in. If you are unable to provide food for yourself for other reasons, there are many public and private agencies to help you with that. Instead of reforming our transportation and land use policies to make walking safer, American cities are doubling down on a dysfunctional system by blaming pedestrians for their own deaths.